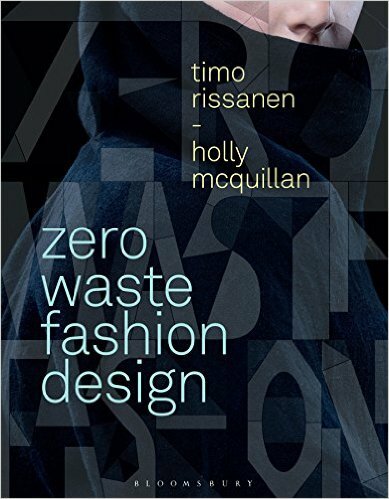 The book Zero Waste Fashion by Timo Rissanen and Holly McQuillan (Bloomsbury 2016) has arrived and I’m keen to share my thoughts on it with you. I ordered it last month when I wrote Considering zero waste fashion, which has become my second highest visited post. There are many things I liked about this book, and I think I could learn a lot from it. I particularly enjoyed the generous and practical ideas for getting started with zero waste patternmaking. 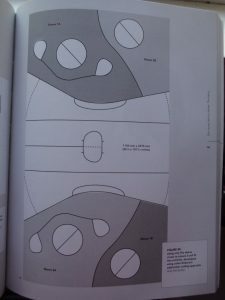 The book outlines techniques and considerations for patternmaking, ideas for grading zero waste patterns, adapting to different fabric widths, and using CAD and digital printing if you have it. The text is brought to life with photos and patterns on almost every page. There are links to online patterns which are free to download. The book is enlivened with interviews and profiles of fashion designers, studio owners, authors and teachers. Not all of them champion zero waste, but certainly all of them have experimented with new and creative ways of pattern cutting. I did get a mild feeling of experimenting for the sake of experimenting in an academic, theoretical way. These are just clothes, you know. However, being encouraged to experiment and try stuff is the whole point with this book. Some is very inspiring; some designers have created whole collections that are zero waste. Of interest to me was an interview with Winifred Aldrich. 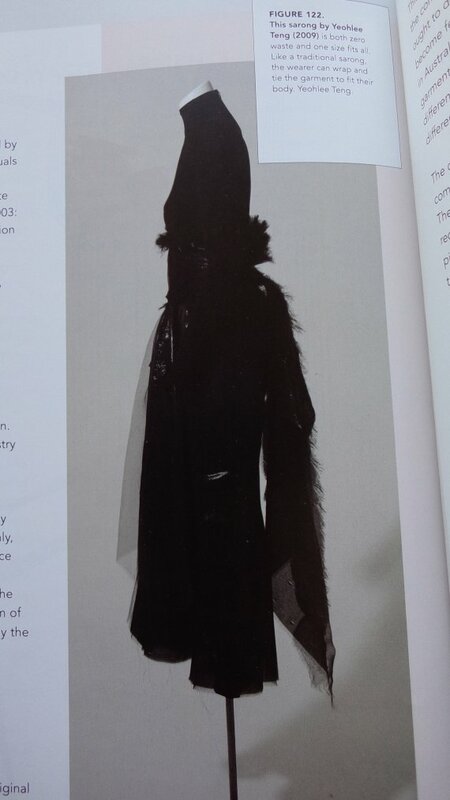 Her book was our patternmaking text book when I was a fashion student. I had no idea she was such a highly regarded researcher (in fact I didn’t know anything about her). Good old Winnie -I still have her in our bookcase, but I don’t need to refer to her now. 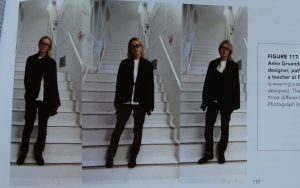 Zero Waste Fashion is let down by some of the photographic images. Black clothes are difficult to photograph. If the garment can’t be photographed more clearly or sewn in a lighter colour or even the photo replaced by a sketch, then it might have been better to leave it out. Some of the diagrams could do with a bit more explanation, for example this one on page 105. I would kind of like to try this but I have no idea how to sew it together. More hand-holding, please! 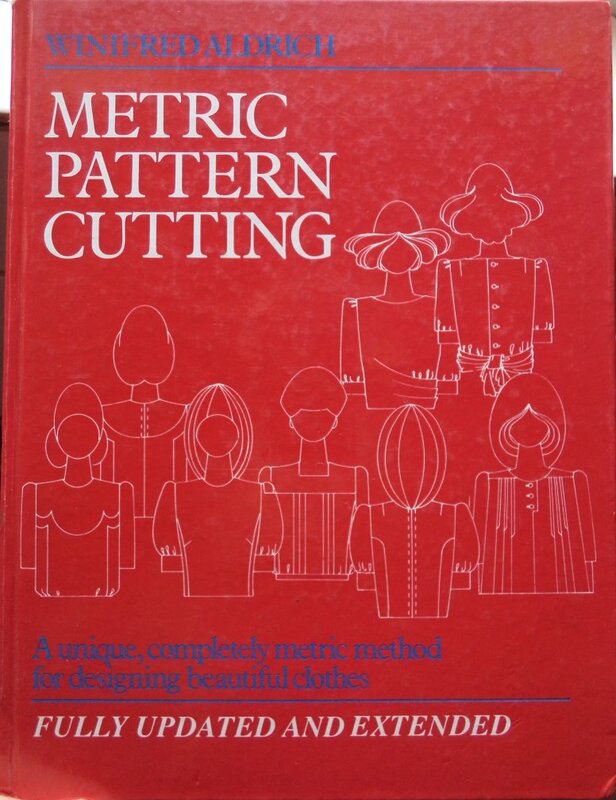 If you love making patterns, Madeleine Vionnet’s pattern cutting, Pattern Magic books, and thinking creatively within parameters, then this book is bedtime reading for you. Disclosure /confession: I ordered Zero Waste Fashion from our library for this review. I’m happy to say I liked it so much I decided to order my own copy. Thanks Liz for sharing what your thoughts about your new book. Once I have understood the concept, to create designs through Zero Waste approach might not be so difficult but for now, it is still a mystery for me because I have not experimented anything. As you suggested it could be a good bedtime reading material so I might borrow the book from the library like you did. I hope there are a lot of photos to show their examples in the book. Thanks again! I think you would enjoy the challenge of No Waste in your designing, and I don’t think you would find it difficult. All the usual patternmaking stuff still applies (fit, sizing, pattern accuracy, geometry, making toiles, etc) but the design, pattern and fabric layout are more closely linked. It has the potential to yield some unusual and interesting clothes. You would find this book easier to read than Shaping Sustainable Fashion because it’s a lot more “hands on”. I realised this week that patchwork quilts are a way to make regular patterns into zero waste. Sure are! Patchwork quilts have their roots in thrift.